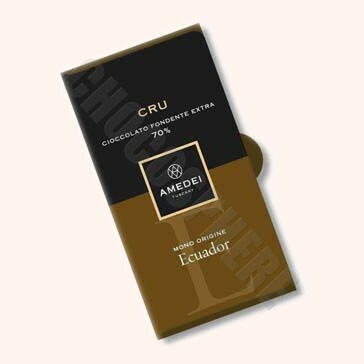 Amedei Ecuador Bar. The beans of this chocolate come from Ecuador. Its decisive cracking sound announces the start of a surprising taste excursion with inflections of the forest, the flavor of pistachio and accents of exotic fruits. 50g/1.76oz.